 We respect the copyright of the creators of the short films we show on shortfil.ms. Please be aware of the fact that all videos are embedded from external video-sharing websites (right now that is either YouTube or Vimeo). No video files are hosted on our own web server. We only save a film synopsis, a still from the video and meta data regarding the genre, language and creators of a film. Please contact the copyright agents of the video-sharing websites in order to remove unauthorized material. Feel free to inform us via email that an embedded video was unauthorized and we will remove it immediately from our database, too.  If you believe that material available on our site infringes a copyright, please send a notice of copyright infringement to the email address below. Upon receipt of a valid and complete notice, we will remove the material. The content of shortfil.ms has been compiled with meticulous care and to the best of our knowledge. However, we cannot assume any liability for the up-to-dateness, completeness or accuracy of any of the pages. Pursuant to section 7, para. 1 TMG (Telemediengesetz), shortfil.ms as service provider is liable for its own content on these pages in accordance with general laws. However, pursuant to sections 8 to 10 TMG, shortfil.ms as service provider is not under obligation to monitor external information provided or stored on shortfil.ms. Once we have become aware of a specific infringement, we will immediately remove the content in question. Any liability concerning this matter can only be assumed from the point in time at which the infringement becomes known to us. shortfil.ms contains links to the websites of third parties. As the content of these websites is not under our control, we cannot assume any liability for such external content. In all cases, the provider of information of the linked websites is liable for the content and accuracy of the information provided. At the point in time when the links were placed, no infringements of the law were recognizable to us. As soon as an infringement becomes known to us, we will make every endeavor to remove the link in question. All trademarks that appear on this site are the property of their respective owners. The content of this site does not reflect the positions or opinions of our respective employers.